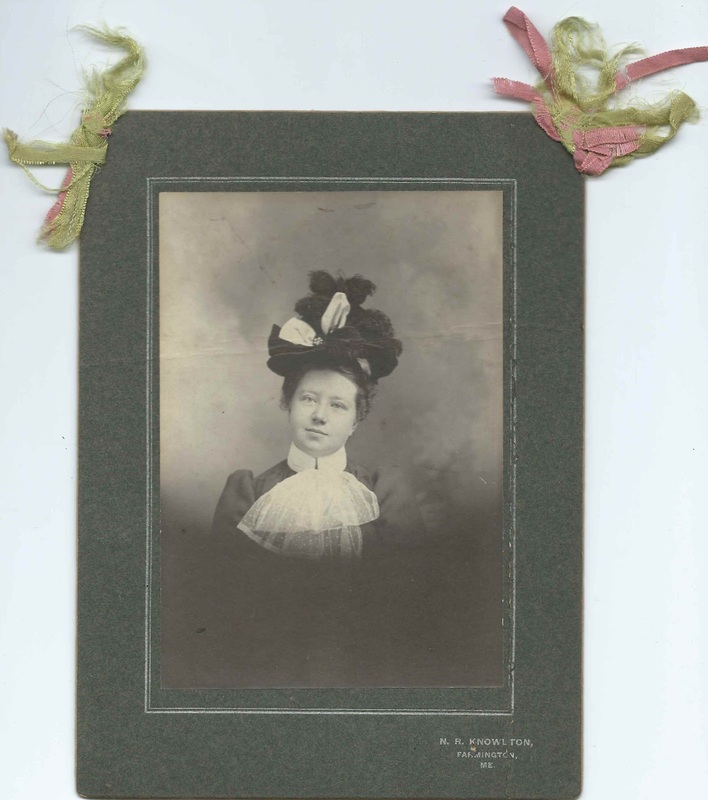 Photograph of a young woman identified on the reverse as Elsie Louise Norcross. The photograph was taken by the N. R. Knowlton studio at Farmington, Maine. A member of the Maine Genealogical Society noted that Elsie Louise appears in at least one record of Elsie Ray Norcross. 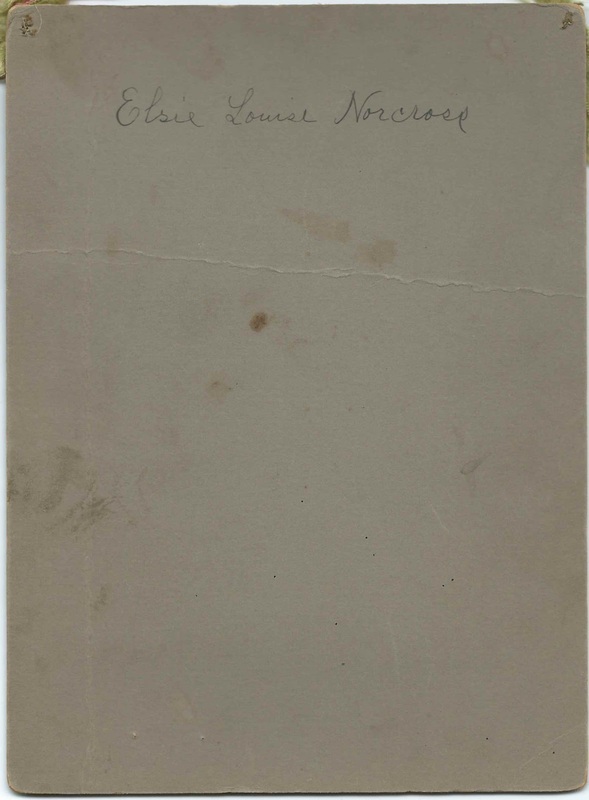 Elsie Ray Norcross was born August 14, 1881 at Chesterville, Maine, daughter of Charles S. Norcross and Rose J. (Riggs) Norcross. On November 30, 1905 at Chesterville, Maine, Elsie Ray Norcross married Samuel B. Wellman. They're buried in the Riverside Cemetery at Farmington, Maine. If you recognize Elsie from your family photographs and/or research, or if you know that Elsie Ray Norcross sometimes went by the name Elsie Louise, please leave a comment or contact me directly.